Hirschfeld Management and all of its employees support and encourage the tremendous efforts of our local, regional and national public service and military personnel whose personal sacrifices protect our communities, our homes and our families, improve our quality of life, and contribute to the future of our children. In recognition of the extraordinary efforts of our fire fighters, police offers, paramedics, teachers, active and veteran military all of the Hirschfeld managed apartment home communities have specially designed programs in place to accommodate the special requirements of this group of dedicated professionals, and to make their residency at a Hirschfeld community more affordable. We believe that it is our collective responsibility to protect our environment through conservation of our natural resources. We are committed to providing quality living experiences for our residents while promoting a sustainable environment by increasing energy efficiency at all of our buildings, and by welcoming new ideas and initiatives proposed by our residents. 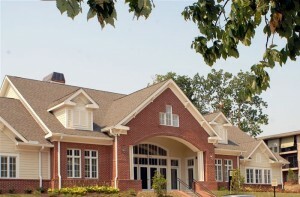 For example, in addition to the our standard practice of conserving water through the use of low flow shower heads and toilets and conserving energy through the use of new lighting technologies, we go the extra mile by replacing traditional building materials with environmentally friendly energy efficient materials whenever possible. Living a green lifestyle doesn’t mean you have to own a house. Apartment owners and apartment dwellers can be green’ and eco-friendly too. 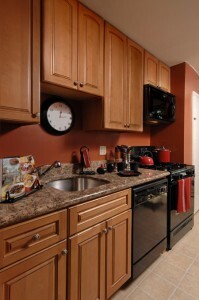 When living in an apartment home, Hirschfeld Management provides energy efficient state of the art appliances to reduce consumption, and our residents also do their part by following the tips we provide for living a green apartment lifestyle and providing their suggestions on what we can all do to go “above and beyond”. These benefits come without any obligations for your organization; your employee pays for their own housing as is normally the case. The Preferred Employer Program is simply a benefit you can offer to your employees as they transition to their new job or neighborhood.